Antenatal- or childbirth education workshops are very beneficial to both the new mom and dad. Not only does it prepare you mentally and psychologically, but it also allows you to make informed decisions regarding your baby’s birth. Yes, you have the right to have the most memorable and positive birth experience!! This is a group workshop that is tailored to fit into your modern, busy lifestyle. It runs over 2 days in a weekend, from 8h30 till 14h00 on both the Saturday and the Sunday. Group workshops have the added advantage that you meet other couples and new friendships are formed, which helps a lot for support in and after pregnancy. 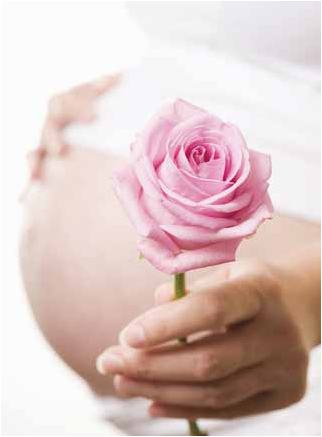 During this time, we will look at all the various birth options available and what expectant parents can expect. I strongly feel that every person has the right to have a positive birth experience and the right to informed decision making. This baby will only be born once. Other topics include labour, coping skills, breathing exercises, medication in labour, where the partner fits in into all of this, birth, planned and emergency cesarean birth, breastfeeding and much more…. When is the next planned course? Once I have enough interest, a group course can be held in Ght. Contact me asap to get your name on the list. The cost of the course is R1200 and includes notes, samples, snacks and drinks. Deposit of R500 is payable with registration and the remaining on the first day of the course. Most medical aids do cover either full or partial cost of the course. It remains the responsibly of the expectant couple to get that information from their medical aid and to submit the final invoice to their medical aid after the course to be reimbursed. I will send you a registration form, and the practice banking details, that needs to be filled in and be emailed back to me, together with proof of payment of the deposit. This will confirm your place. As I live in Cannon Rocks, I need a certain amount of people to attend the course in Grahamstown. Should it happen that there are not enough, the deposit will be paid back. These classes are kept small to allow for expectant parents to feel free to ask all kind of questions. You will gain valuable knowledge regarding your baby, birth, breastfeeding and much more. These classes are tailored to fit into your modern, busy lifestyle. It runs over 2 Saturdays or 1 weekend on Saturday and Sunday from 8h30 to 14h00. The cost of the group course is R1200 and includes notes, samples, snacks and drinks. These classes are done when need arises. If you wish to attend this course, please contact me as I will put your name on waiting list for next course. As soon as there are 2 couples, the course can be done. The private classes are for expectant couples who prefer to do private classes or who are already late in pregnancy and there is no time left for group classes. These classes are tailored to suit the individual needs of that specific couple. Every class is 3 hours and the amount of classes depends on the need of the couple. The cost per class is R500 and includes notes, samples, snacks and drinks. Most medical aids do cover either all or partial cost of antenatal classes. It remains the responsibly of the expectant couple to get that information from their medical aid and to submit the final invoice to their medical aid.